Very nice; Stuart does fantastic work and he's such a nice guy to deal with. Some of the best customer service i've had in this hobby. He basically created an entire TYW Imperialist range for me. He is a top bloke. It's one of the self adhesive paper flags, which is pretty convenient and you can easily fold it into shape. What you can't see in the picture is that it has a little shine on it and I wasn't sure if I could just apply some matt varnish without doing some harm. But while writing this I did just tried it and now it's perfect. Just like to put in a plug for Stuart and maverick Models. I ordered some of his fabric flags and they are excellent! Both the quality of his product and his extremely courteous and fast service is to admired. Just a note to recommend Stuart's products and services. Pictures on my blog pcjohnstone.wordpress.com soon. I have just recived the material flags and pennants for my dutch red lancers from Stuart at Maverick models.A very helpfull guy as i was not to sure what to order excellent quality and fast postage. Just received some beautiful cloth flags for the THirty years war, resized to 35mm to fit the flagstaffs. Lovely job and a fast service. These will make me get off my backside and finish the units to carry them. 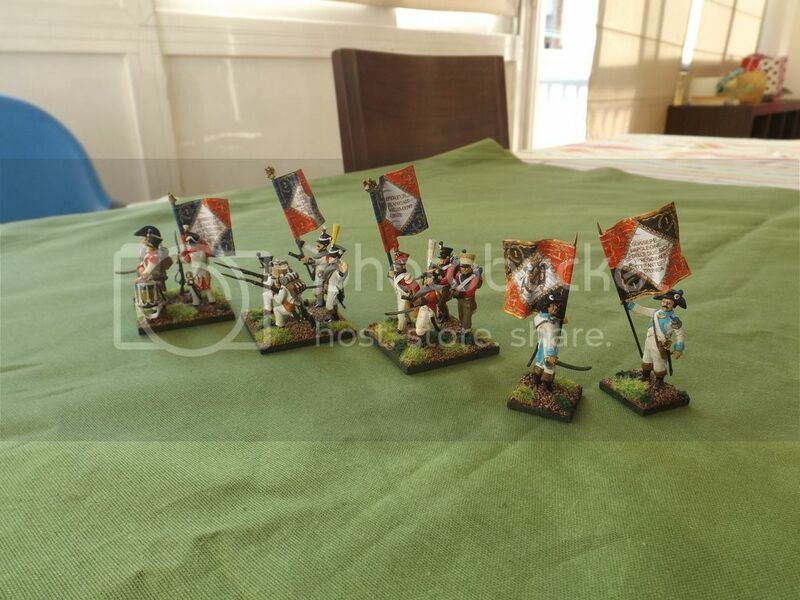 I just received some Napoleonic flags (mainly Swedish) from Maverick Models. I'm very pleased with them and the excellent service. Stuart always offers to tailor the sizing for you, and is very fast in getting the flags out. Absolutely top draw napoleonic flags. I just received 50+ across French, Spanish & French Allies.Absolutely 100% recommended. Even resized these bad boys to fit perfectly with AB. Quickly knocked up a Legion du Midi & threw in for free, as I had already paid. Stuart is a great guy and the service is excellent. He has even took the time to add some flags that I asked for. I received some French-Indian-war and I was absolutly attracted.Stuart had a good communication to knew if he resized or not , he tries to do the best for packaging .Quick delivery . Not a full review as I would normally do but a positive only on the products themselves. I recently ordered some flags from Maverick Models and they are very high quality and packed well.I'm pleased with the flags and will go back again to try more of their range. I understand they are a newish company and are working to grow bigger.I wish them the best and would be happy to give a full review in the future in the aim towards positive improvements.Based on the quality of the products they are on the right track. Do not normally comment on products but just to say how impressed I am with the service and quality of flags supplied by Maverick Models. My only worry is whether my figure painting can match the gorgeous flags I have just received. Only time will tell but I am now energised to kick start expanding my 18th century French Army. Just received the 15mm flags and the gold tassels for spanish regiments for the liberation wars in south america. Very very good I like them a lot and I go immediately to mount them on my regiments. Received today my ordered 1690 French and French Revolution flags from Maverick. Great value as ever (love the flags)and the service is great; I love it that Stuart ask how big I want the flags as everyone has his own ideas how big flags for the figures should be. 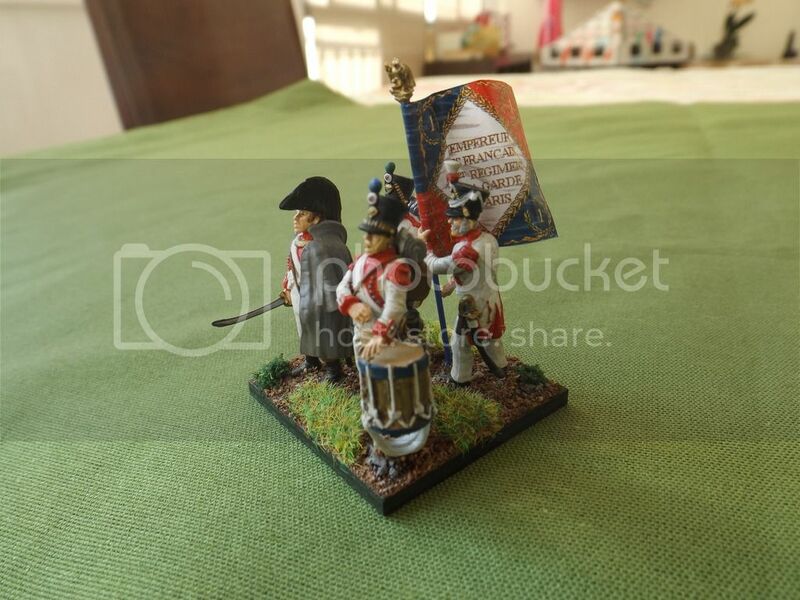 I Have ordered both Maverick paper and material flags for my Perry napoleonic 25mm figs and they are all excellent quality. Would order again. Very good feature that Stuart will resize the flags to suit your needs. Have to agree about the brilliant service. Lovely flags, and when I got the size wrong, Stuart resent to me without charging me again, despite my offering to pay. Will definitely be using Maverick again. I recently started ordering flags from Maverick Models. The service is fantastic, but even more important is the quality of the flags. I just started getting into SYW and had been disappointed in other flag makers. But Maverick Models got the flag design right for each regiment, the colors on the flag and scaled the flags to meet my requirements. This is exactly what I needed. After 2 successful shipments the US Postal service destroyed the envelope on the 3rd shipment and lost my flags. Stuart of Maverick Models replaced the flags at no cost to me. NOW! That is truly service that you can count on. Just received some 15mm Landwehr flags from Maverick Models. Only a few as I like to try before committing (don't we all). Really pleased and would recommend to all. Now to revamp all my Napoleonic regiments and my new 25mm WSS. Received to day flags .I hope scenery would be nice with them . I'll send you pictures . ACW flags could be completed ,i hope so .Trevor, see you soon again and thank you for your serious . 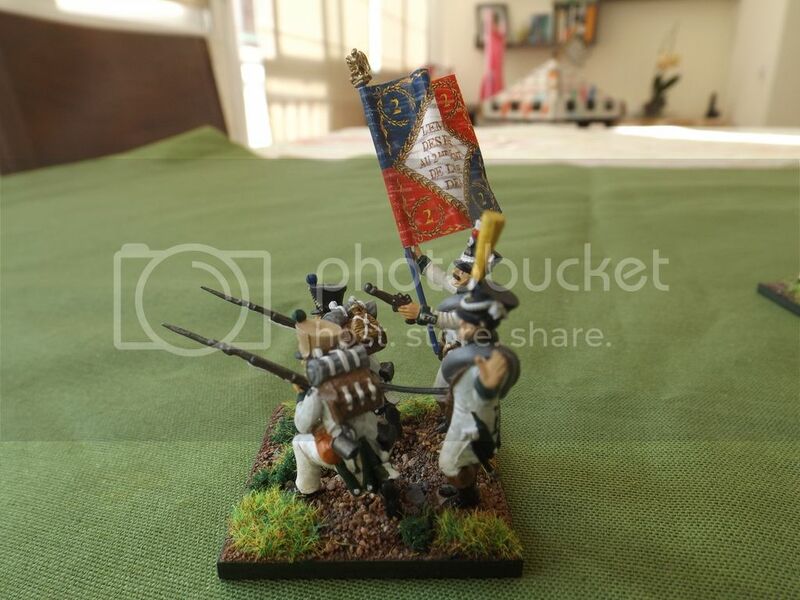 I have just received my first order for some Seven Years War and AWI flags from Stuart at Maverick Models and they are very nice, I wouldn't hesitate to recommend them and will be placing another order soon.What will be really useful will be that Stuart will size them to your own requirement if needed. Have had many orders in with Stuart at Maverick. Always been good quality product and excellent service. Highly recommended. I've recently received my order for some AWI flags from Stuart. They are a good quality product with really nice colouring and details. The best thing is that Stuart will re-size your order to your requirements. I actually sent wrong sizes for my flags and after contacting Stuart, he sent me another set free of charge! What service. Highly recommended. Stuart is the best! When I order 15mm flags from him he even checks with me to see if I need them slightly reduced in size. So many of the figures I own have their hands halfway up the flagstaff that there is only 10 to 12mm to incorporate a flag. I always turn to Stuart when I need a flag. Just received my latest order. I needed almost every flag in a slightly different size to standard and Maverick have done this exactly as requested. The flags themselves are well defined with good, clear colours – bright enough to be attractive without being gaudy. just registered with TMP specifically so that I can praise Stuart – superb Wars of the Roses flags and pennants, resized to my requirements and shipped promptly. All my future flags will come from here! Great Flags for my SYW saxons. Got a batch of Brunswick Napoleonic flags today and they are of excellent quality. The option to have them scaled for personal taste is very handy. Going by the resolution bigger flags would look really impressive. Just a note to record my thanks to Stuart for such a prompt service, together with the ability to size the flags I required to the figures I was using. The range on offer is excellent and, as this is the first time I have used them, I can say I was very pleased with the product. Received my order from Stuart today and he had resized the flags for me. They are great. This is the second time I have bought flags from Stuart. I order them as no one else covers the range of late 17th and early 18 century flags that I want. Just recieved my 15mm ECW flags from Stuart,first class job. I have recently discovered Maverick Models and placed several orders in the last few months. I must say that Stuart sets the standard for both product and service! The range of scales, materials, and flags is simply astonishing. I'm particularly sold on the fabric flags with effects. It is completely transparent that I'm in the US and ordering from the UK. Stuart has an excellent shopping cart system. A few clicks and your preferences are all logged and your order is placed, which arrives within two weeks. For my 28mm Napoleonics, I use GMB given that I started out with those. However, for all my other projects and scales, I'm a Maverick Models customer. Excellent service and superb quality as usual. Will be ordering again soon! Stuart of Maverick Models has an extensive selection of flags of many periods and in different scales. Great quality and super fast delivery! Thanks! Does anyone have an email address for him? I can't get the "Contact" link to work on his website. Just received a batch of French SYW flags – got the 40mm for my 28mm figures as it ties in with the size of flag I like to use. Managed to find an email for Stuart, and alerted him to his "Contact" button not working. I sent an order (TYW flags/15mm/material/effect), and got it within 48 hours. He even re-sized to my own – non-standard 20mm – spec, for free, and included a useful note about how to prep and fit material flags. I can only echo others' comments as to what an efficient, helpful and talented chap he is, and the high quality of his products. Thank you, Stuart. I'll be back (as someone once said). Great service from Maverick flags. At first, I ordered only because Stuart has some "unusual" flags but I'm really happy with the product and I will order some more flags soon. Here I post the happy standard bearers with their brand new flags. Two for the 1st Neapolitan regiment (two battalions in Barcelona as garrison), the 2n battalion of the 1st and 2nd Guard of Paris (that fought at Bailén) and the 3rd bon. of the 2nd suisse which fought at Catalonia. 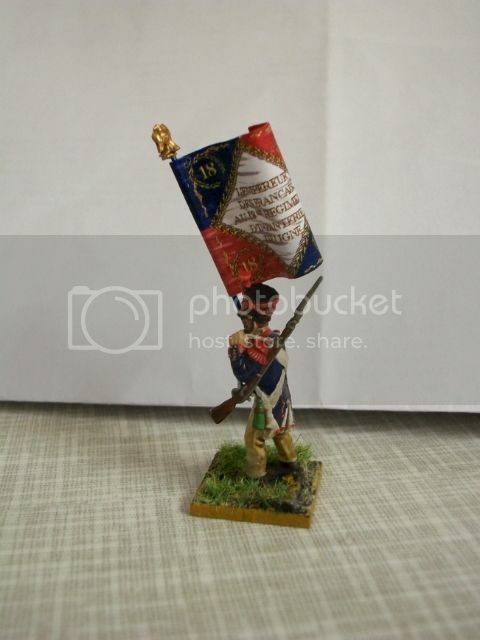 I recently received a number of 15mm Prussian Napoleonic infantry and cavalry flags. Excellent quality and most had been re-sized to my specification. He also provided me with over 30 Wars of the Spanish Succession Dutch army flags in 25-28mm. Again excellent quality and a speedy turn round on the order. I recently recieved some flags from Maverick Models to attach to my 18mm nap figures. This look great nice crisp drawings and the the words on the French flags are legible. Had some AWI flags arrive today from Stuart that he had sized to fit my Peter Pig figures. Very nice quality flags with sharp detailing. Judging from all the positive comments , I feel good about the order I just placed with Maverick… and yes Stuart asked if I needed to resize any. Sounds like I will be doing more business with Stuart in the near future. 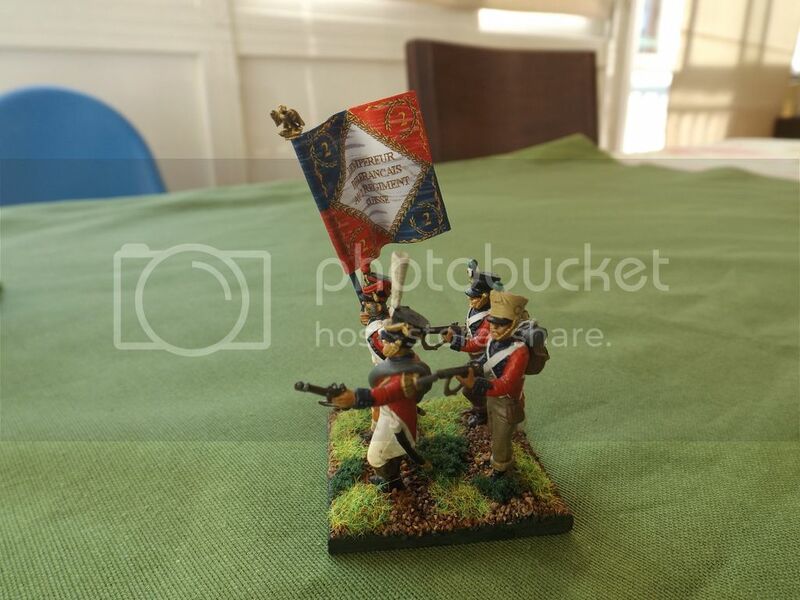 Recently purchased some 50mm Seven Years War regimental flags from Maverick Models. The communication and support from Stuart was first class,and the flags themselves were of very high quality.Will definitely use Maverick Models again in the future. 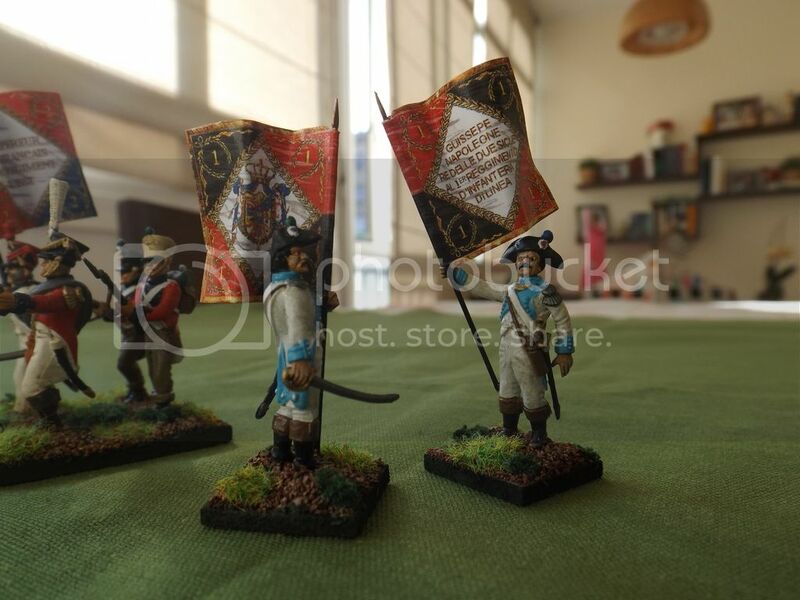 I recently ordered flags for WSS Austrians and Prussian from Maverick: speedy service and very nice quality. The range is really excellent. Well done Stuart! Bravo!